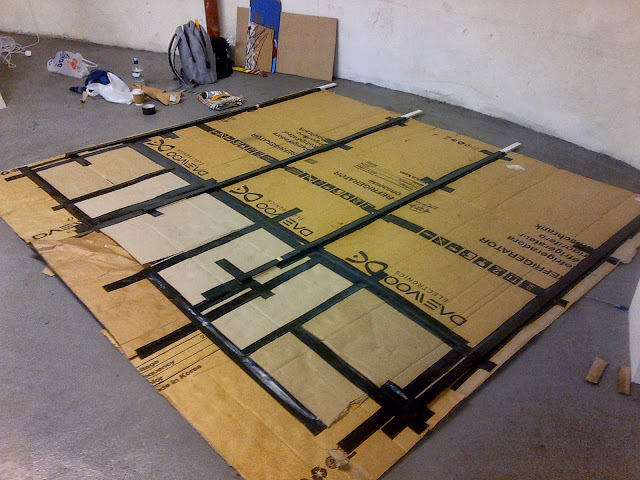 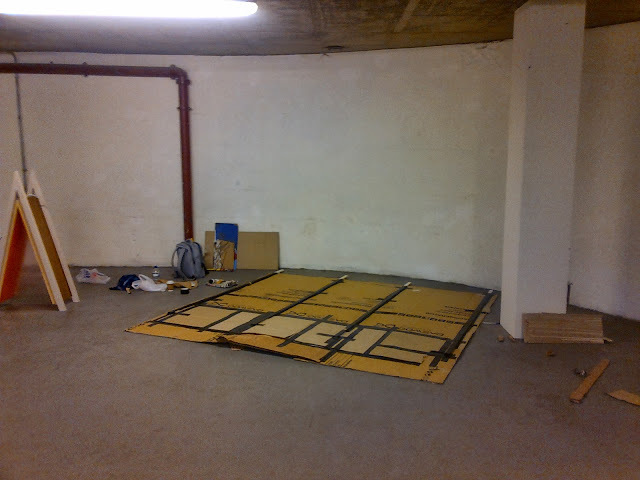 large square format painting measuring 270 x 265 cm. Medium is gesso, household paint, acrylic, oil stick and collage elements. 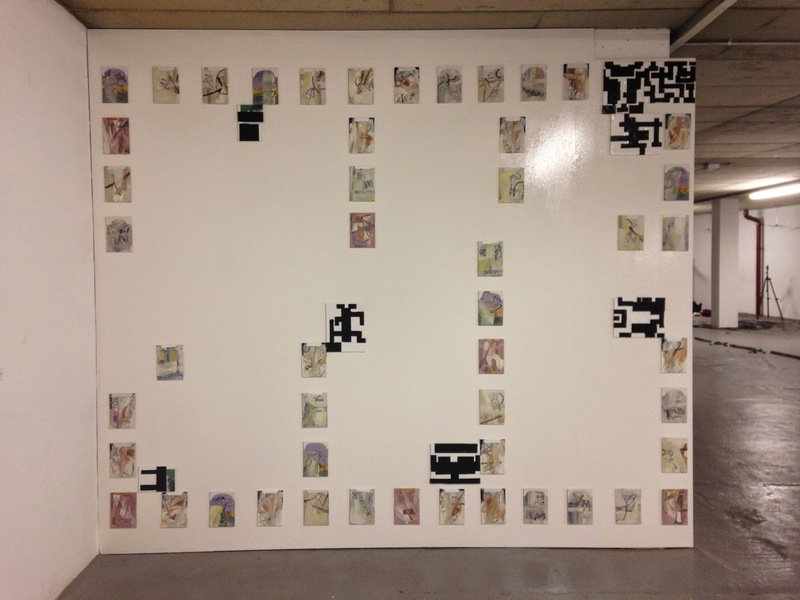 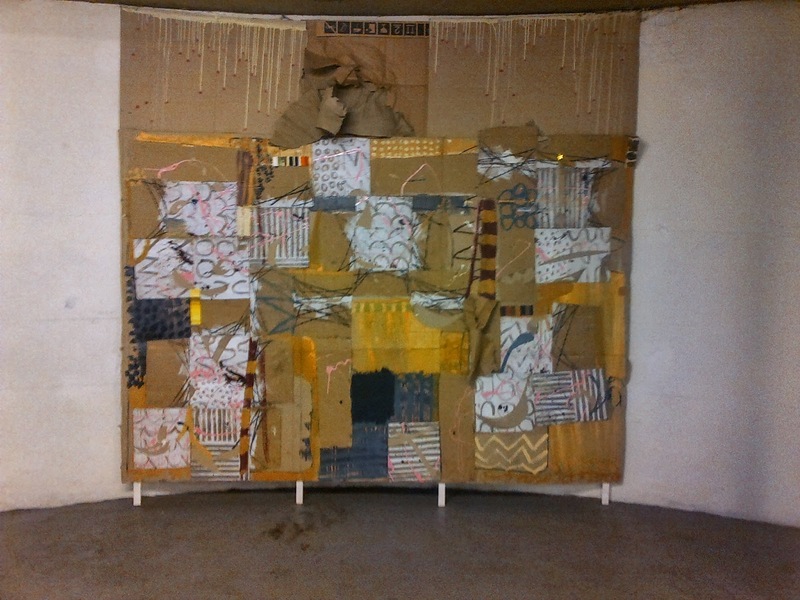 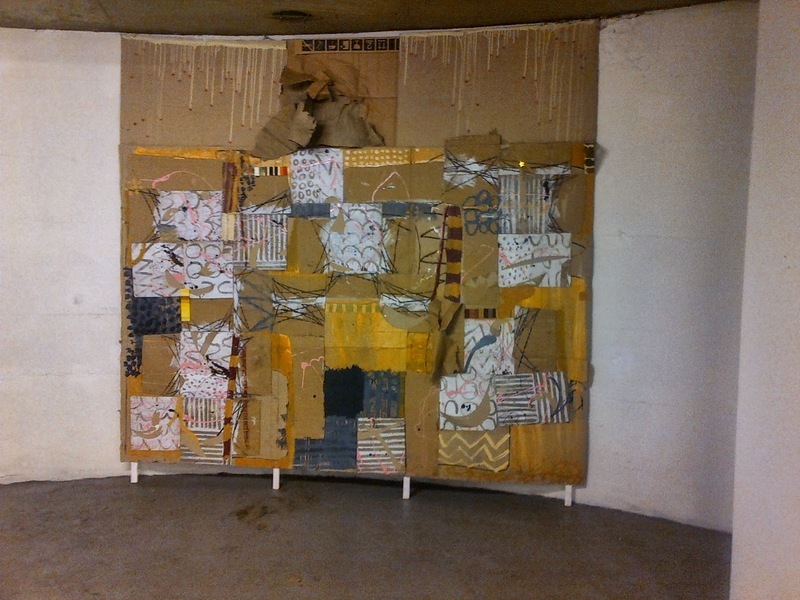 Collage piece made from discarded cardboard panels. 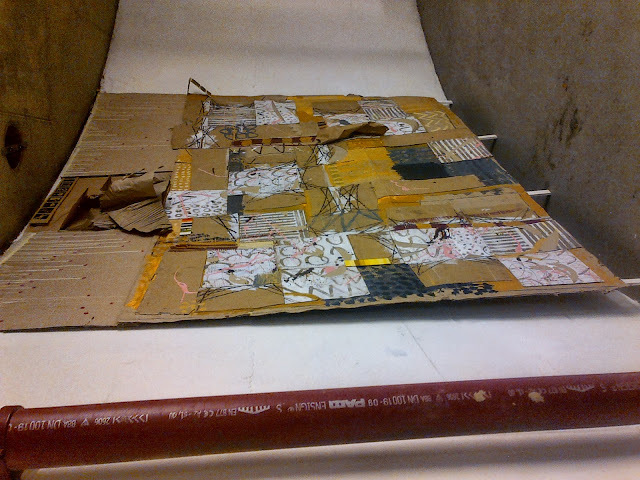 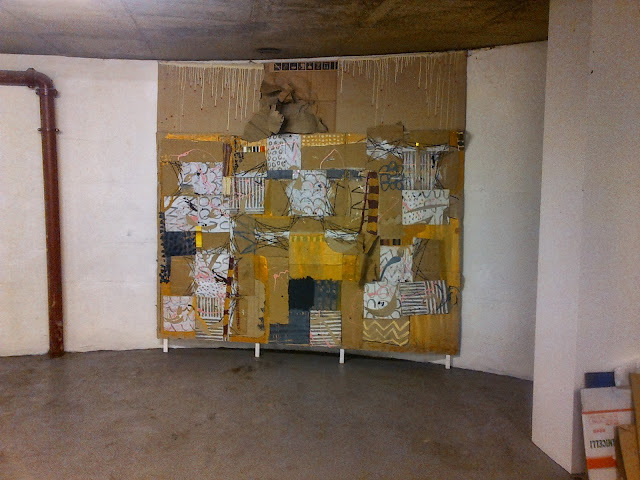 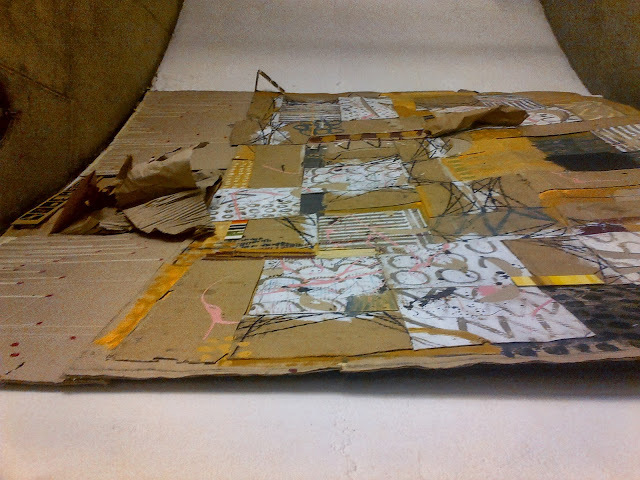 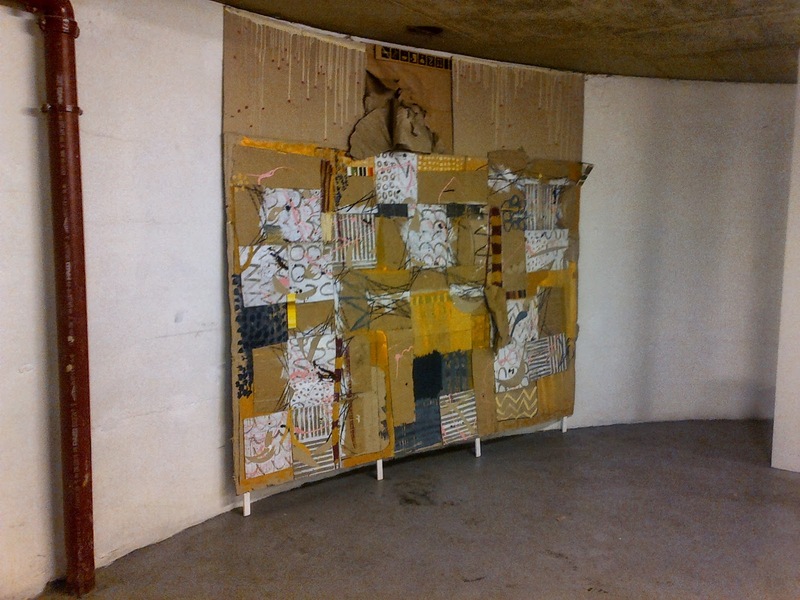 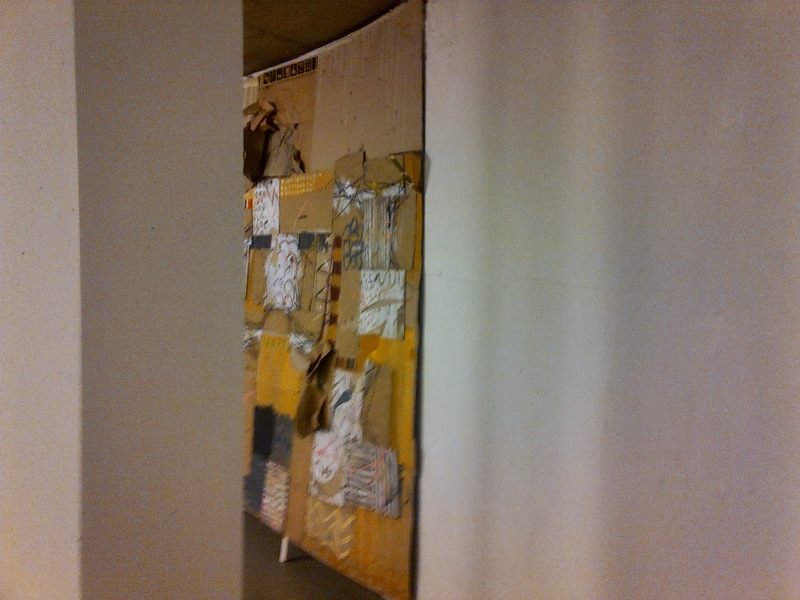 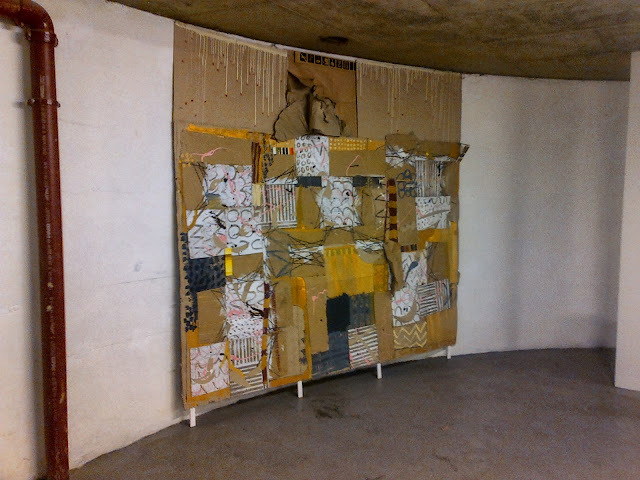 Some elements used cardboard from the Norwich Market which is situated outside the gallery venue at the Undercroft. Also pics of Aaron Fickling with his new sculpture work. 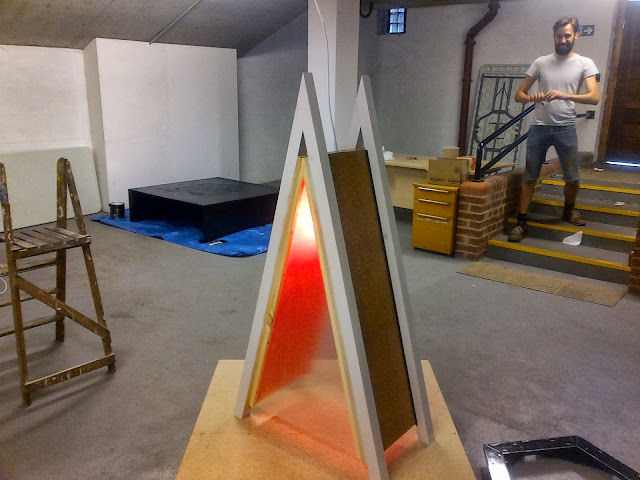 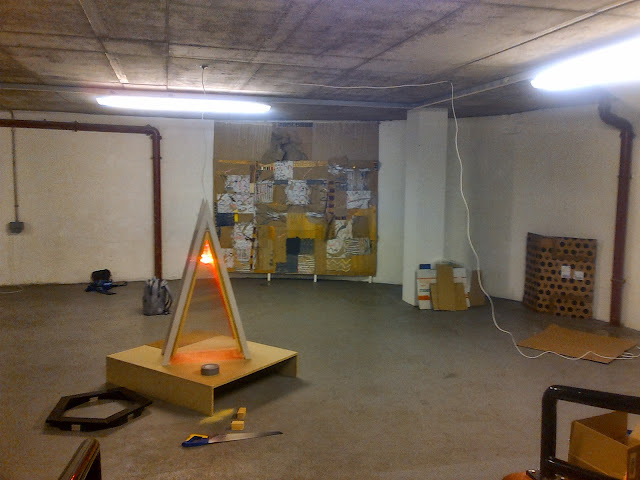 The piece was supported at the back with pine battening and extended at the top so the piece made contact with the ceiling.